Auckland is in the midst of a housing crisis - and we have a solution that will help address the needs of all Aucklanders. 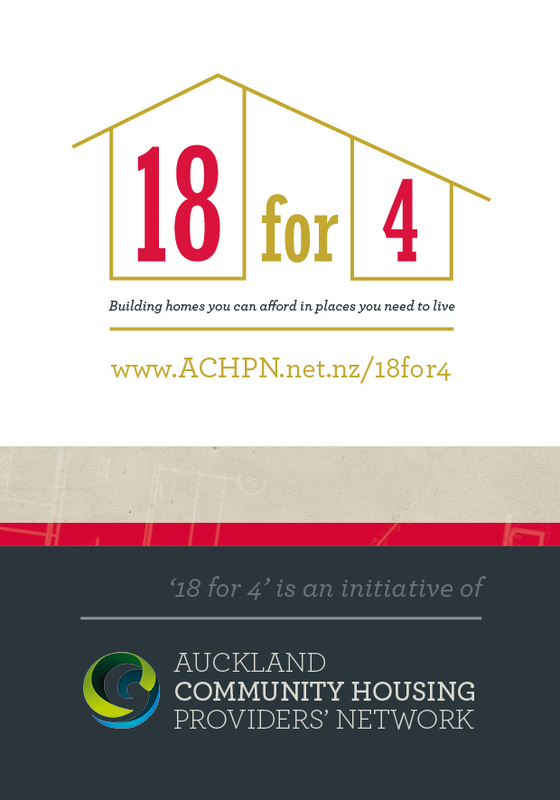 An Auckland Community Housing Providers’ Network (ACHPN) initiative, 18 for 4 is about using social land more effectively, creating safe, healthy, affordable homes for everyone from those on low incomes through to those wanting to get onto the property market. Come back on November 16th to find out how community housing providers and 18 for 4 will help solve Auckland’s housing crisis.